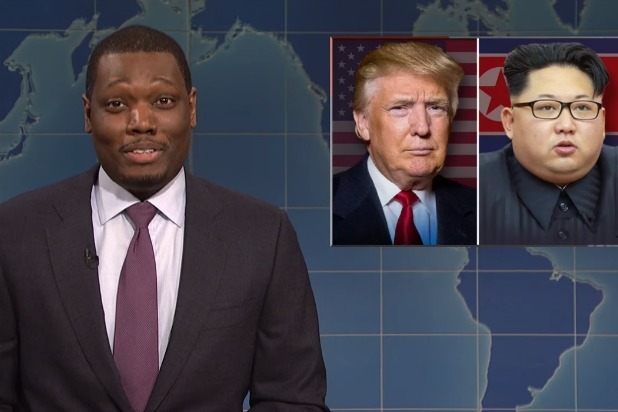 The Weekend Update segment of this week’s “SNL” kicked off by talking about North Korean dictator Kim Jong-un’s invitation to President Donald Trump to meet and discuss his country’s potential nuclear disarmament. Like Colbert on Thursday night, Jost also couldn’t resist getting in a Dennis Rodman joke. “I just love that a potential nuclear war is hanging in the balance and we’re putting our lives in the hands of the only two guys connected on Dennis Rodman’s LinkedIn page,” Jost said before tossing it over to Che. Then Che compared the upcoming meeting to an episode of the A&E reality series about terrifying at-risk teens taken away from a life of crime. 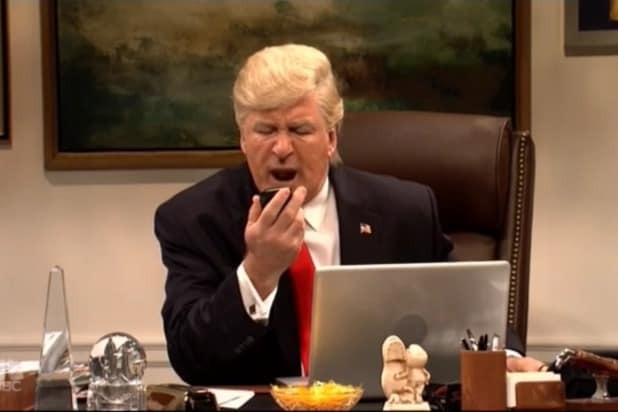 It being the insanely busy week it was in the Trump White House, Weekend Update on “SNL” went a mile a minute from there — dealing with the continuing Stormy Daniels saga, the resignation of Trump’s chief economic adviser Gary Cohn, the Trump administration’s alleged attempt to set up a secret back channel with Russia in the Seychelles, and Trump blaming video games for gun violence. And that’s just in the first four minutes. Weekend Update also brought us a very welcome pair of guests: Mikey Day and Alex Moffat as Donald Trump Jr. and Eric Trump. You can watch this portion of Weekend Update in the embedded video below, or on YouTube.